Having a polished, fleshed out game is all fine and dandy, but without the Outreach Team how will people find out about it? The Outreach Team is in charge of presenting the game to a wider audience. There are various locations where this happens, such as our website and social media outlets. Outreach work continually adapts based on other development activity, but the team as a whole can operate separately. For instance, Outreach Team members can watch what's happening in development and post interesting tidbits or links for the community to see. There is some overlap with the Project Management Team. Outreach work may be stifled by the fact that only a few team members have the necessary for logins for our various web presences. Unfortunately this will continue to be necessary into the future. Only applicants with proven experience in one of the tasks below will be given the login information, since we don't want to give anyone admin access to our most important sites willy-nilly. That doesn't stop Outreach Team members discussing and making suggestions about what to post or create, or even creating content for others to post (such as writing Devblogs which a website admin could post on their behalf). 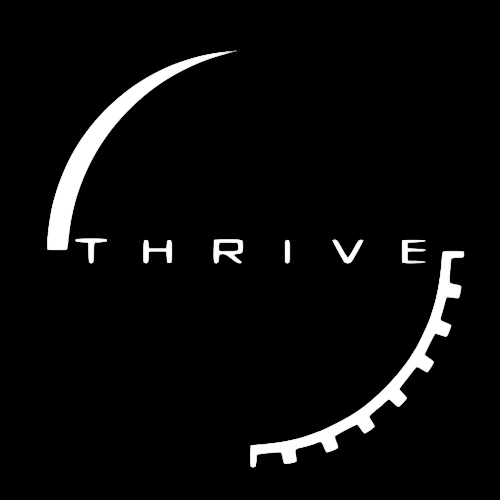 Thrive is a difficult game to present to the wider world, so members of this team should have a cautious approach to promoting the game. It's a good idea to watch development for a while first to understand how it works and what would be appropriate to say about the game in an official setting. A list of all of our social media pages. A list of everything that needs to be done each time a release is published. This should ensure nothing is left un-updated. Currently there are no tutorials for Outreach Team tasks. How do I join the Outreach Team?